A letter from Israel: Happy Hanukka - or why you shouldn't be afraid to shine as bright as you can.. In Angela's Ashes Frank McCourt wrote about their helpful Jewish neighbour. And Sidney Poitier wrote in his biography that a grumpy Jewish waiter in the restaurant where he washed dishes, helped him to learn to read. Louis Armstrong's Jewish friends bought him his first musical instrument and helped a poor young black man who eventually became an amazing musician. I thought that these little acts of kindness would not only help the people who needed it but also show non-Jews that it is a good thing to have Jews in the world. But on the flip-side I has also got worried when I learned about Jews doing extra-ordinary things. A Jewish doctor in Bolivia who got local women to knit little heart plugs for sick children. Isn't it better to just live quietly and help where you can? To shine a light, yes...but a little one. Let all the JK Rawlings's and Bill Gates's and Steve Jobs's fly high and do amazing things and light up the sky. Nobody cares that they are Christian or agnostic or whatever. We will just sit quietly in the corner and try not to get killed by a suicide bomber or knife-wielding killer. Anyway, not all of us are destined for greatness in the first place. But then a kosher Jewish supermarket in Paris got attacked. A Muslim immigrant from killed several people but another Muslim immigrant who worked in the supermarket managed to hide several people in a walk-in fridge and then helped the police free the hostages. He very deservedly received an award for his bravery from the French president but I keep thinking about the Jewish owners of the supermarket who hired him in the first place. What would have happened if they never hired Lassana Bathily in the first place? This may seem like a small thing to do: Supermarket owners hires an immigrant worker. voiced their concern? In Israel a Muslim worker in a corner store slaughtered several Jewish men praying in a nearby synagogue. The owners in the Paris supermarket had no reason to believe that Lassana Bathily would one day save the lives of several Jewish patrons in their own supermarket. That single, small act of kindness became a huge act of bravery. And what if it does not stop there? The owners gave the immigrant a job and the immigrant saved people and the people who were saved..What if one of the people whose life were saved would one day make cold fusion work..or cure cancer? If this is what happens from a small act of kindness, what cannot happen from a huge act of greatness? What if the research done on the heart-valve patients in Ecuador may allow us one day to travel to the stars or mine asteroids? And so what if a Jew did something cool? Tomorrow it will be a non-Jew who shines. The important thing is just to do. 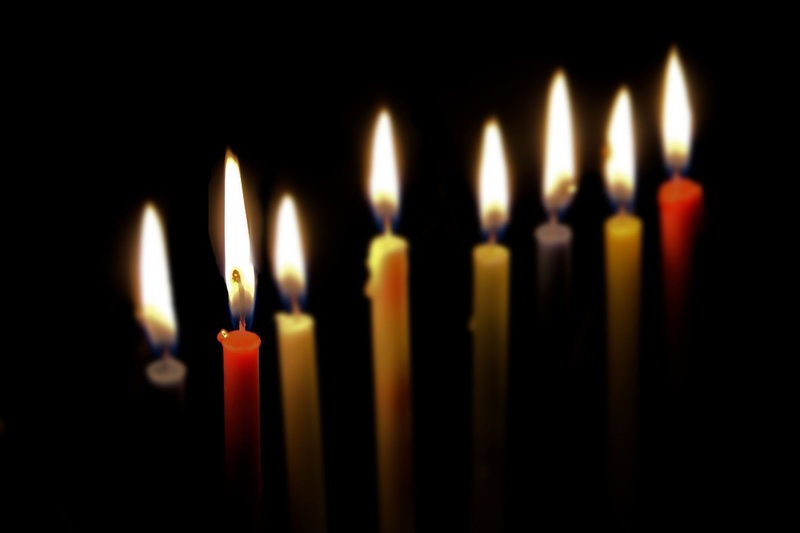 It is Hanukka now here in Israel and just like any other Jewish custom, there are a 101 how-to's. How to place the candles in the hannukia, from which direction to start to light the candles, etc. There are two "rules' however that I particularly find meaningful. 1. The light of the lit candles must not be used for anything else except to be enjoyed for its beauty. 2. The lit hanukkia must be placed in a windowsill or doorstep so that it can be enjoyed by passersby. So learn from the Jewish hanukkia, dear readers. Shine as bright and as beautiful as you can. Maybe it is a big endeavour that will help millions, or something small that grows big and maybe it is just some small act of creativity that will help just a handful of people. And maybe it is just a tiny little thing that will only make one person smile for a few seconds. Just don't YOU dare not shining your light as bright and as far as it can go. Don't dim your light because people think that you work too hard, or love cooking and is thus 'domisticated' or that you use your spare time to be creative or that you are too old to go back to school. Don't worry about being a woman in a "man's world" or vice versa. Don't worry about being a Jew or a Muslim or a Christian or about people who are going to point fingers. Just go and SHINE already!